Ever since the outbreak of the Ebola virus in Liberia, getting admission into any health care facility has become a major challenge. 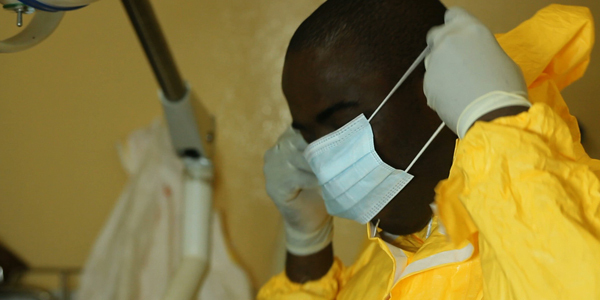 Most health facilities are reluctant to accept patients due to their fear of the deadly Ebola virus. It is another day at the SOS Medical Center in Monrovia, back open after a recent nine-day closure following the death of a nurse from Ebola. Staff at the clinic are displaying extraordinary resilience, dedication and courage – treating over 50 patients a day. Among the patients is Mariama Bary, a desperate mother, without any money. She has brought her three-year old daughter, Ariana*, to the SOS Medical Center. Ariana has a high fever and has been vomiting. It is because of this rejection that a lot of families have lost their loved ones. 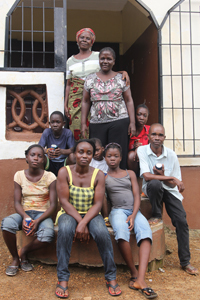 Many children have lost one or both parents to Ebola. The statistics are staggering. Not just in Liberia, but in all the affected countries. According to the BBC, at least 3,700 children in Guinea, Liberia and Sierra Leone have been orphaned by Ebola. Worse still, these orphans are being shunned. “A basic human reaction like comforting a sick child has been turned into a potential death sentence,” according to the UN. It is against this backdrop that SOS Children’s Villages International is mobilizing more support to help children who have lost parents, and those who are unaccompanied or separated from their caretakers, due to the Ebola epidemic and its consequences. Back at the clinic, little Ariana is being assessed. She has a very high temperature: 40.2º Celsius. This raises a red flag. As a general rule, any person with a temperature above 40º Celsius is considered a possible carrier of the Ebola virus. Ariana is also vomiting -- another symptom. The SOS Medical Center does not provide Ebola case management, but quarantine mechanisms are in place for referring cases. Once the clinic receives a suspected case, the SOS health care workers call a team from the Ministry of Health (MOH), which is in charge of handling Ebola. The MOH team takes the patients to designated Ebola centres. The clinic staff are supported through the provision of personal protective equipment, medical supplies and disinfectants. It was a similar case that led to the infection of Klubo Mulbah – a Physician’s Assistant at the SOS facility. She became infected after treating a 5-year old child that had high fever. “I was called up to the children’s ward to help out with this sick child. As we tried to administer IV [intravenous drip feed] we could not find any vein on the child. Before we could know, the child started vomiting blood, and later died”, said Klubo. However, weeks of treatment at an Ebola Treatment Unit have cleared Klubo of the deadly Ebola virus. Klubo has now been discharged and rejoins her family back in Monrovia. Despite her ordeal, Klubo says there’s no turning back in her profession. Her compassion is to reach out and save as many lives as possible. SOS health care workers continue to provide care services for many cases including that of little Ariana. Despite her high fever, she had a chance to get admitted and receive treatment at the SOS Medical Centre. Fortunately for Ariana, she ‘only’ had malaria. SOS Children’s Villages is focusing its efforts in Liberia and other West African countries ravaged by the Ebola virus on supporting children who have lost or are at risk of losing parental care. "We will be sending further support to those programmes on the ground so that they can respond to the growing needs of vulnerable children," said Richard Pichler, CEO of SOS Children's Villages International. "We are calling on all governments and stakeholders to place children at the top of the agenda, taking into account that this epidemic will leave emotional scars to be borne by future generations." *For privacy reasons, the child’s name has been changed.